Focused on concepts of colour and space, Villa Aqua is a luxury private villa surrounded by palm trees, bamboo groves and fragrant frangipanis in a tranquil, secluded spot of Canggu. The laidback tropical enclave of Canggu on the west coast of Bali is well positioned for reaching the airport, whilst being far enough away from the crowds. Accessed through a beautiful carved door leading past a Koi pond filled with violet water lilies, Villa Aqua has 2 luxurious bedrooms with open-air ensuite bathrooms. Interiors are a combination of serene minimalist style with limestone, natural aged timbers, Indonesian antiques and contemporary artwork, coming together to form a truly calming, atmospheric space. Set before a private swimming pool, the soaring open plan lounge is fitted with antique sofas, contemporary lighting and flowing white curtains. Meals are served in the adjacent open-air pavilion lit with ornate chandeliers and candlelight. Set within a complex of three magnificent designer spa villas, Villa Aqua offers a soulful, relaxing retreat with access to an incredible spa. 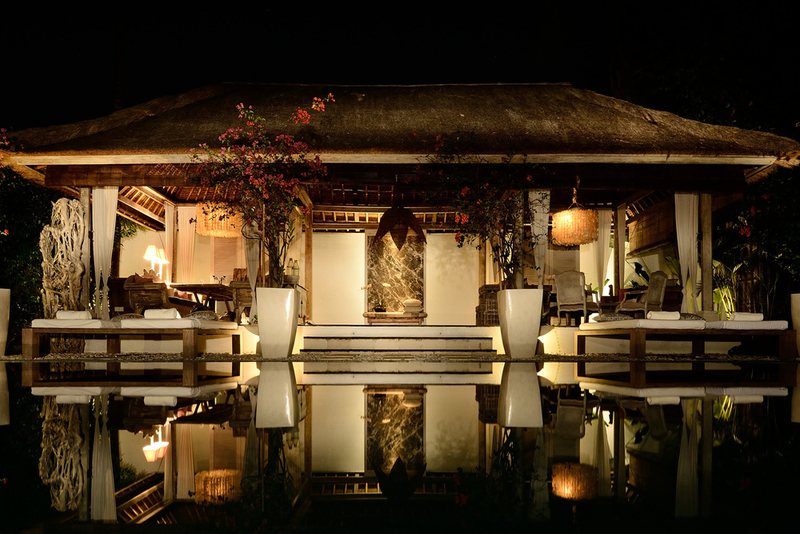 The spa runs dedicated holistic programmes centred around rejuvenating the body and mind, but guests can also head out in search of Seminyak’s vibrant nightlife, Ubud’s temples or more active pursuits such as biking, hiking or surfing at nearby Echo Beach.